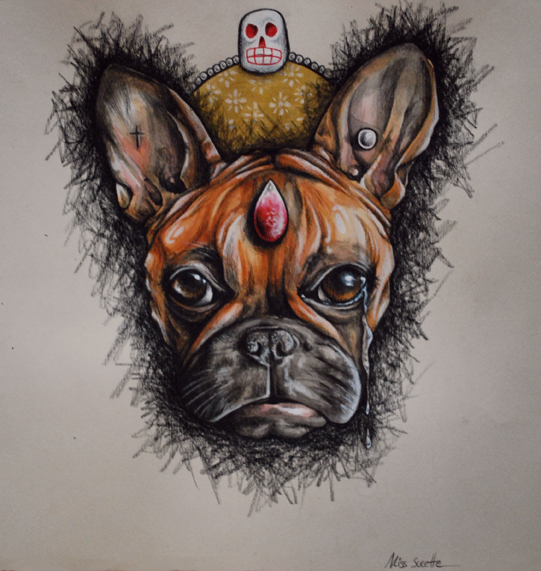 A friend asked me to paint her cute french bulldog. Here it is. Acrylic, graphite and ink on art paper.